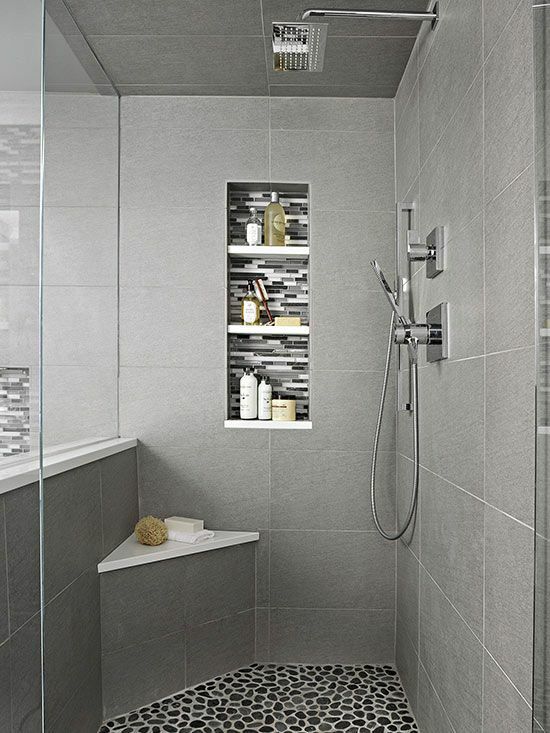 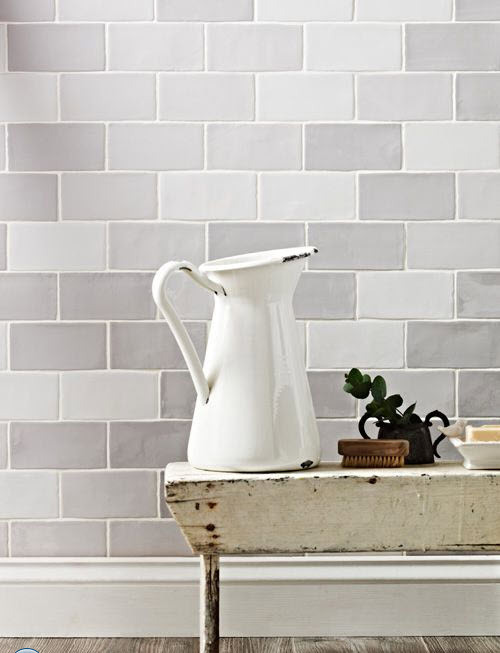 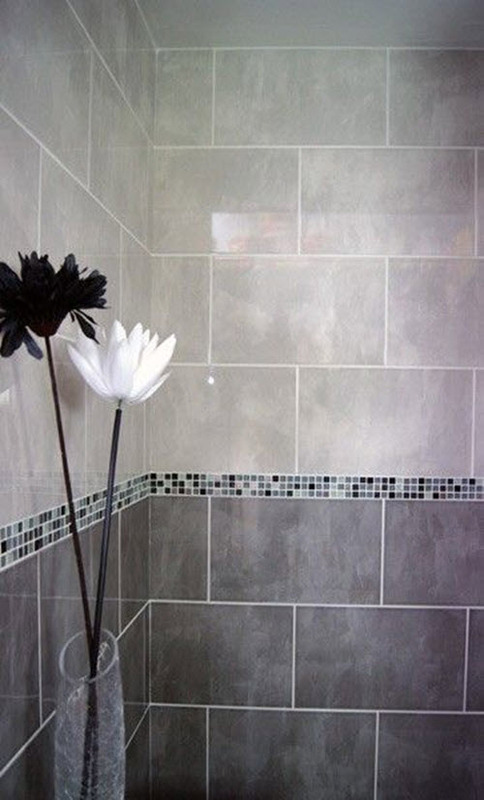 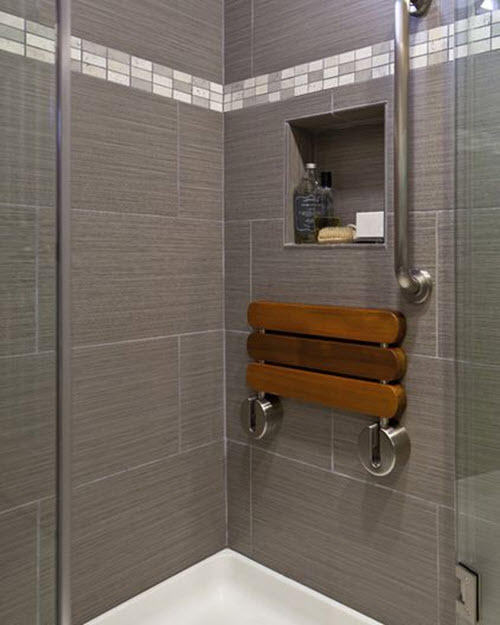 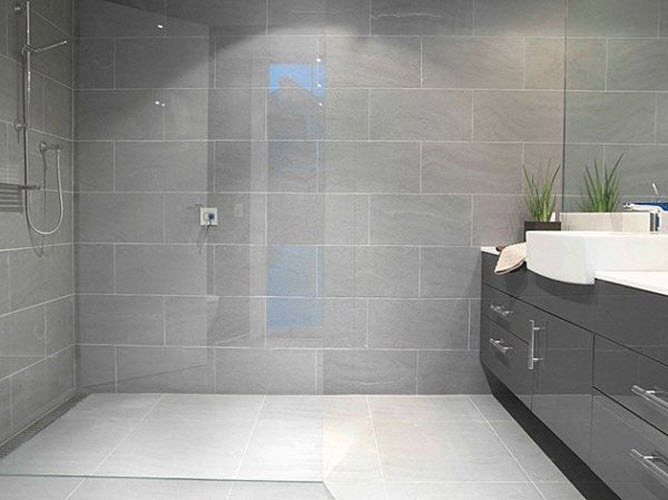 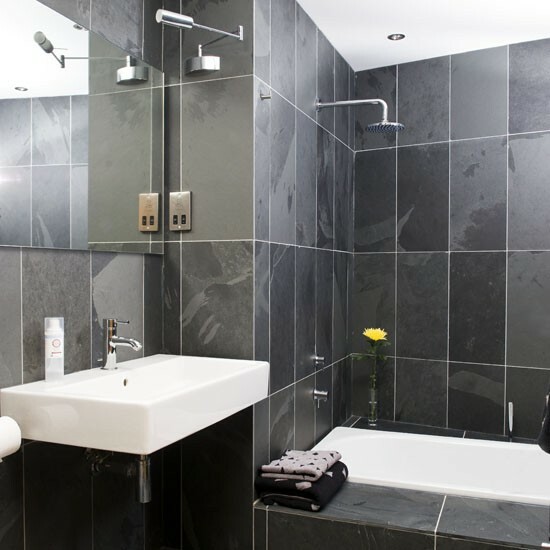 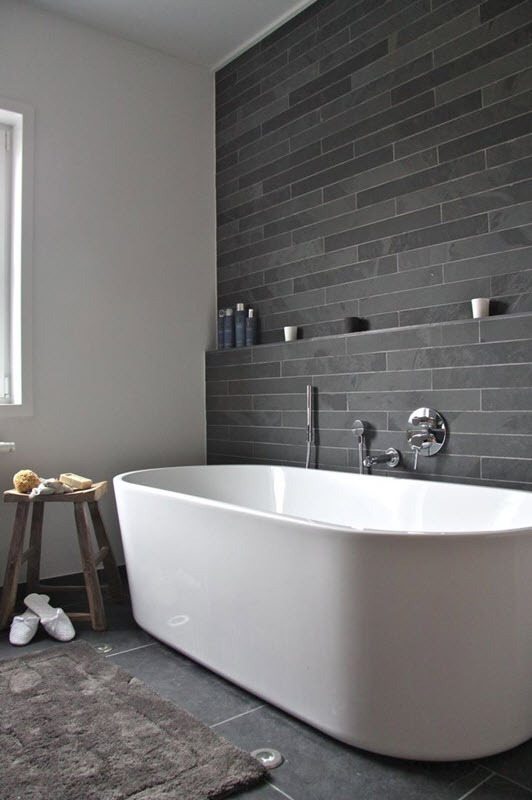 Almost any shade of gray is perfect for bathroom walls, especially it you use tile to decorate them. 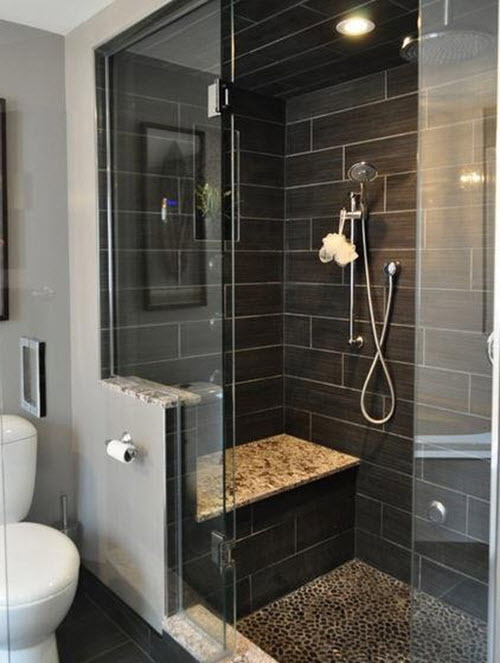 There are certain rules, though. 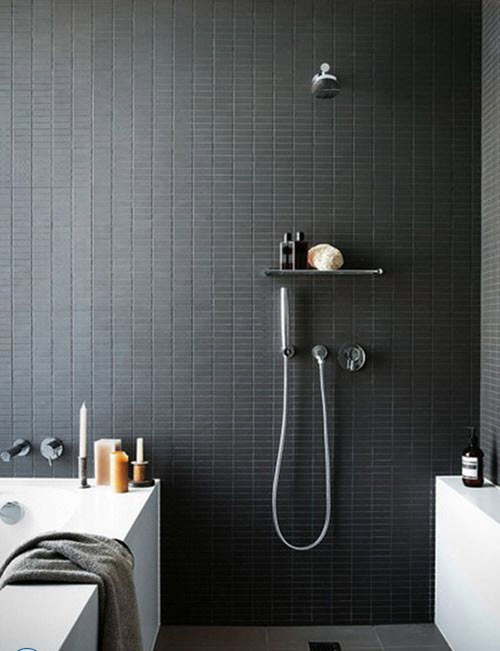 Dark gray is not so often used for walls as it is close to black and can make the room seem smaller. 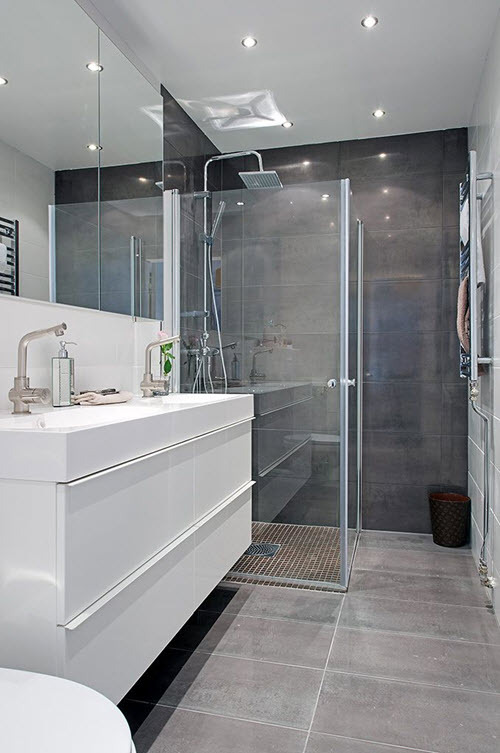 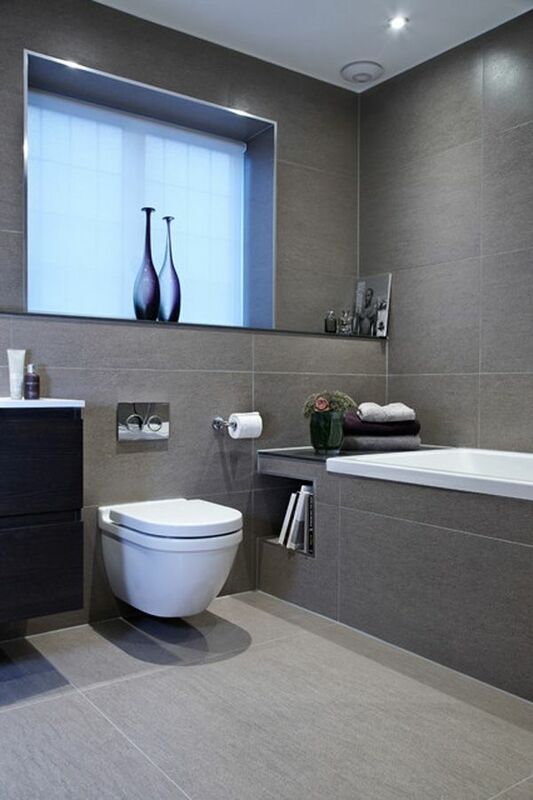 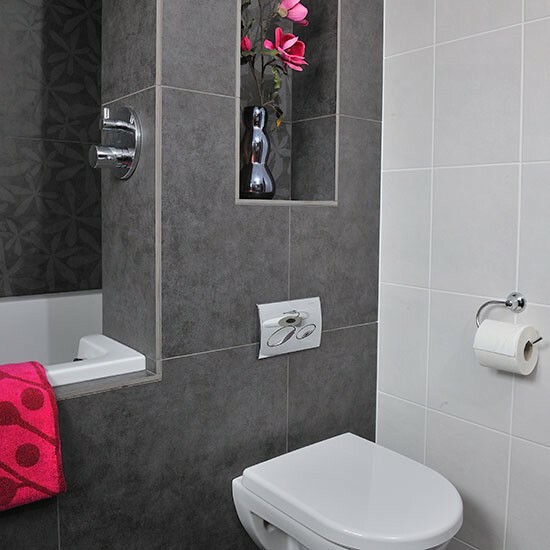 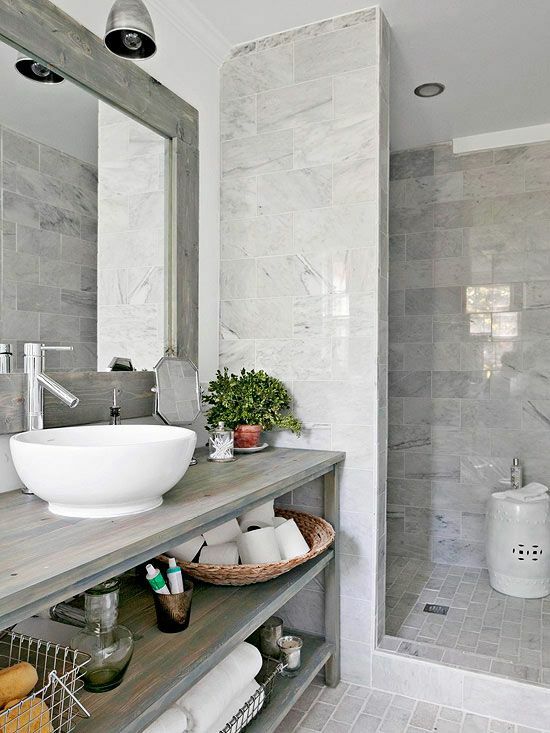 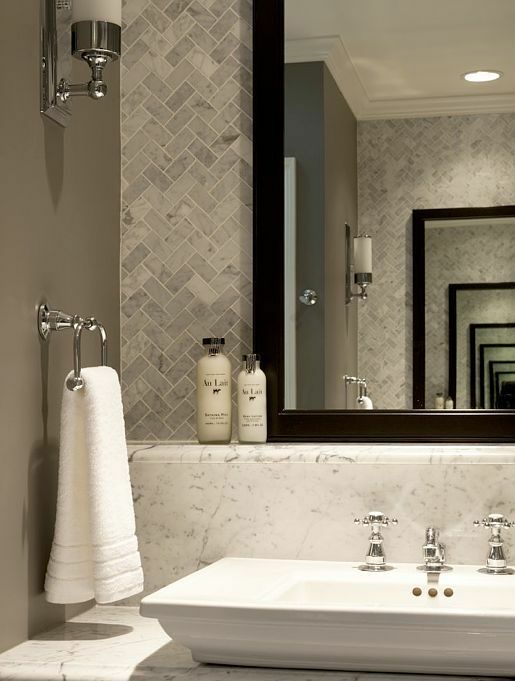 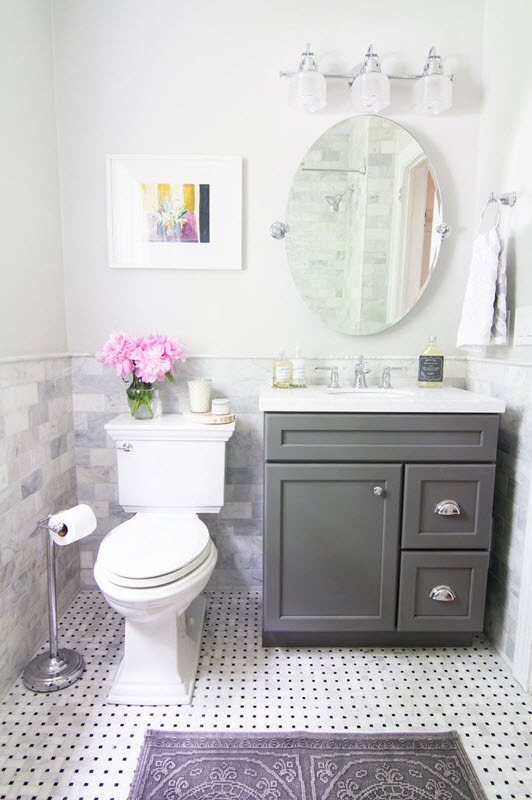 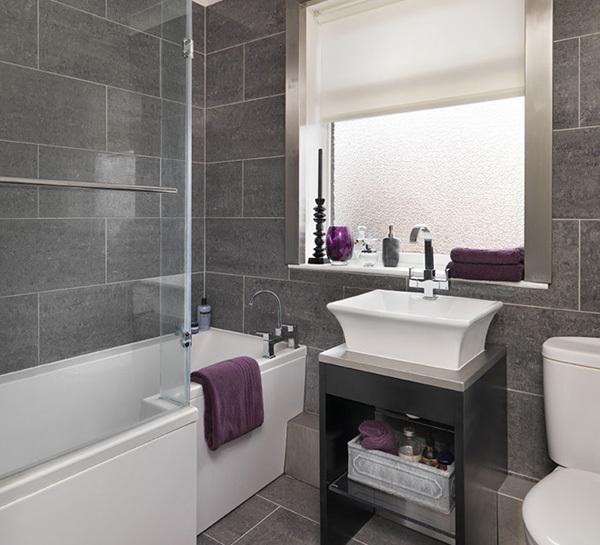 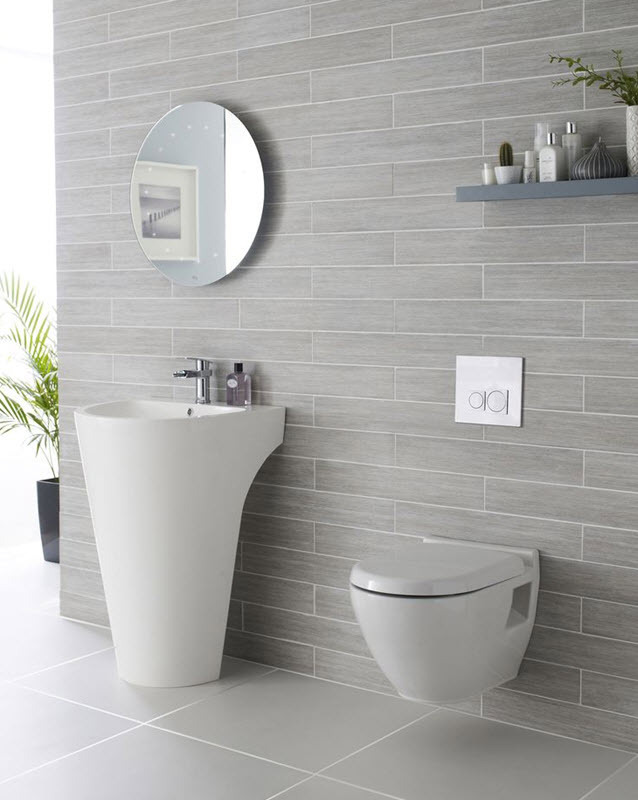 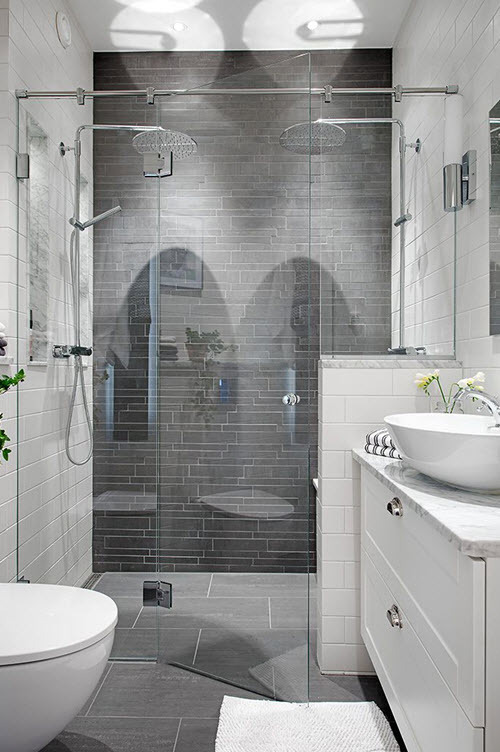 Lighter shades of gray in the bathroom look neat and relaxed even when there are no other color blocks around. 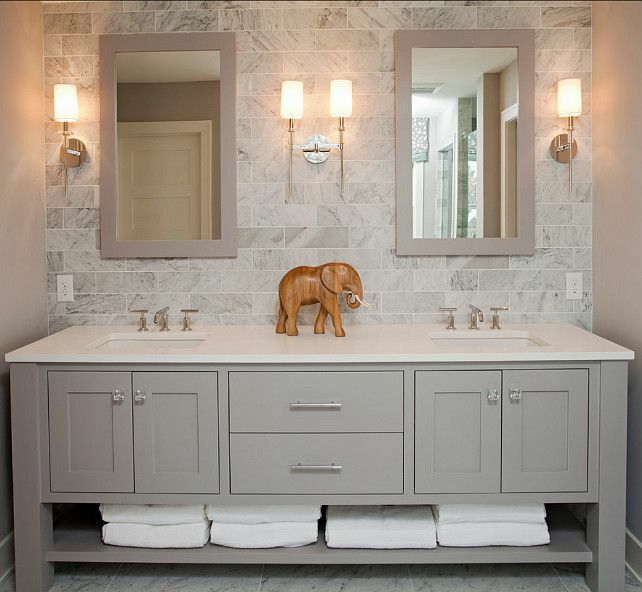 In these spaces it’s not necessarily to dilute gray with other colors – even the gradation of lighter gray shades looks harmonious. 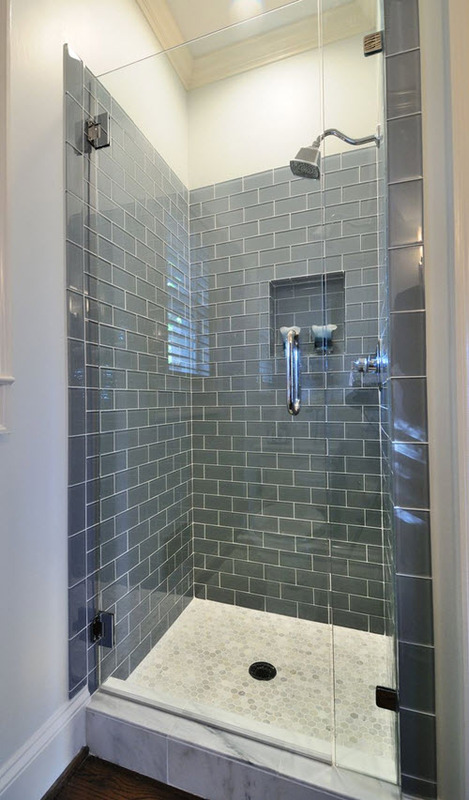 But in combination with other colors gray also looks great. 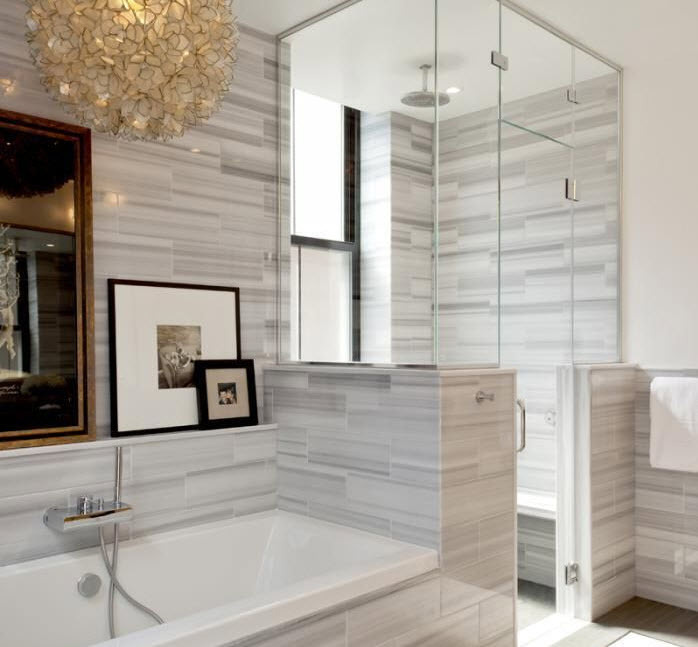 It can be neutral and more calm colors like beige or blue or contrasting ones, like white and even yellow. 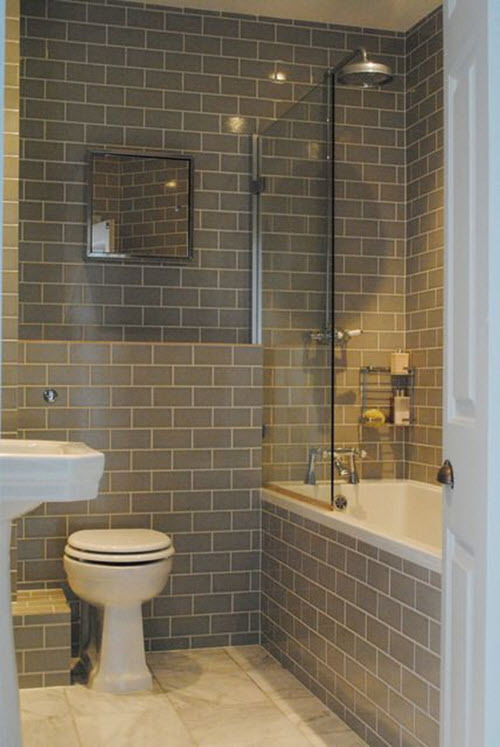 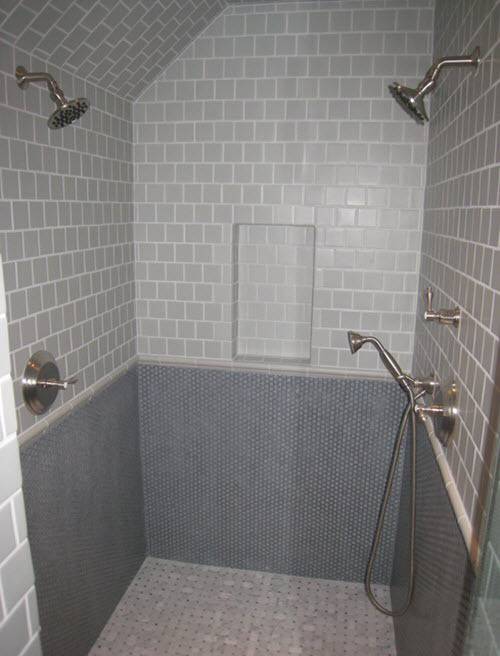 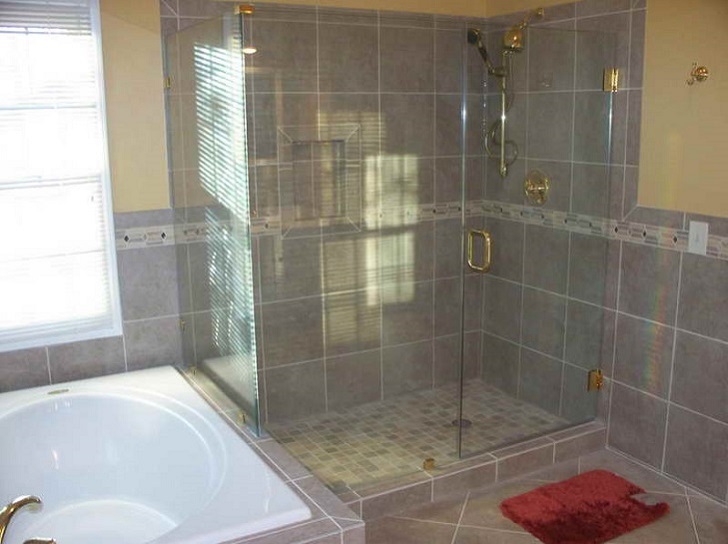 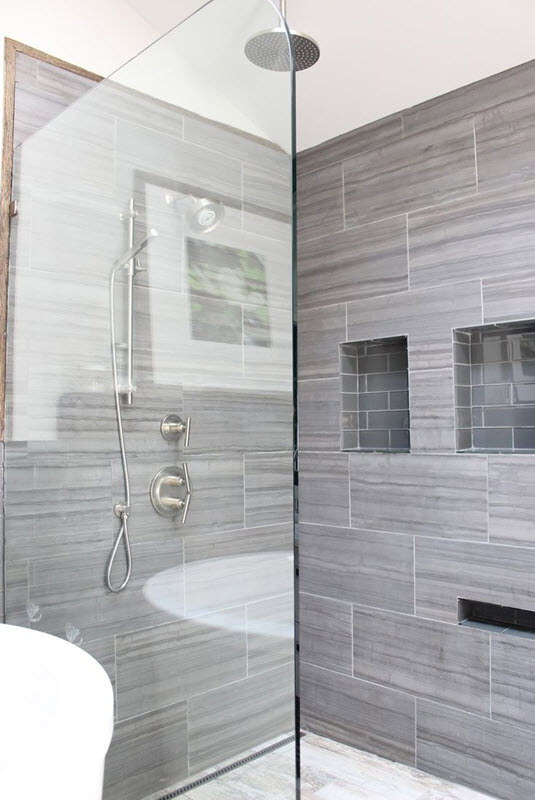 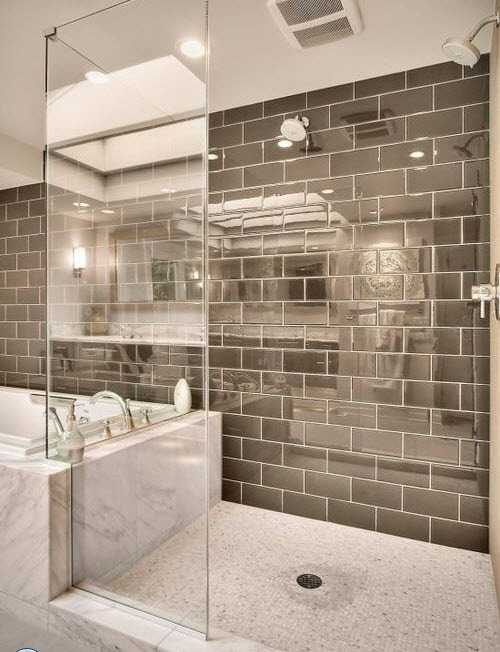 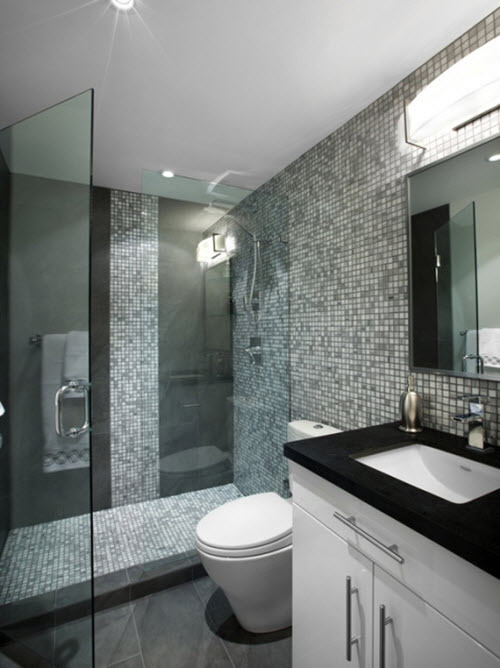 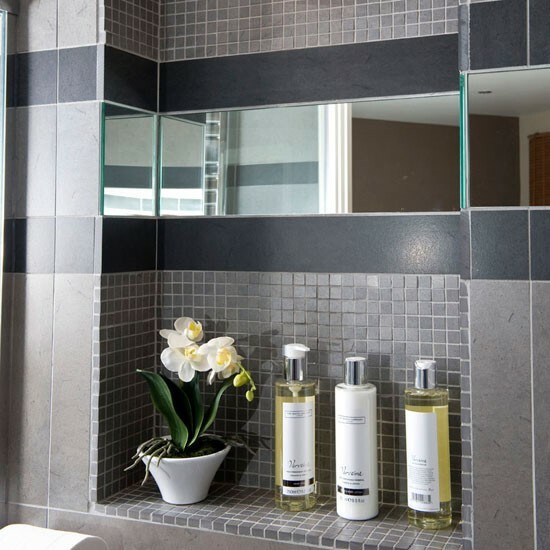 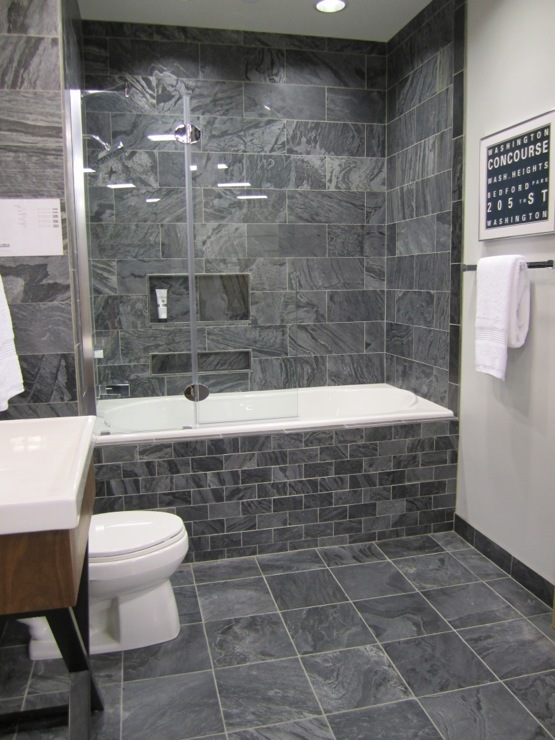 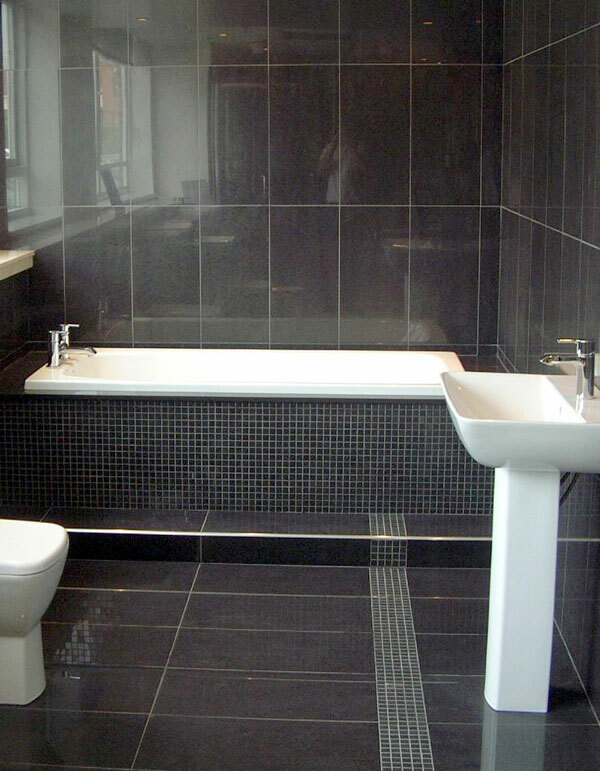 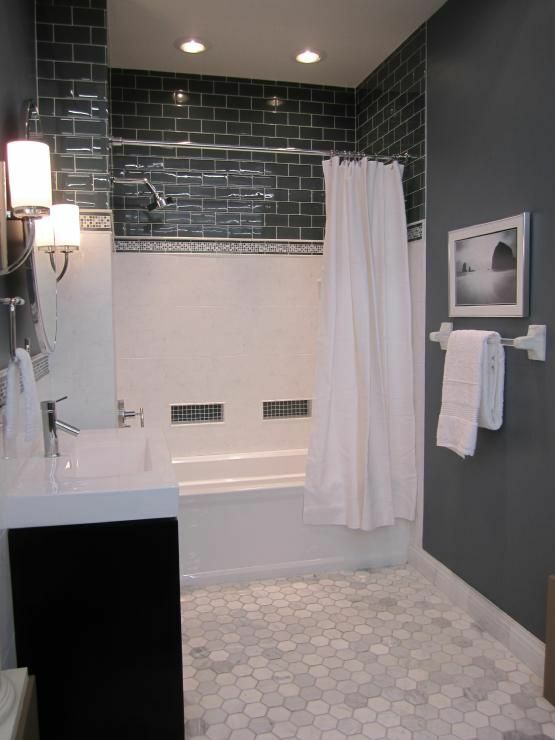 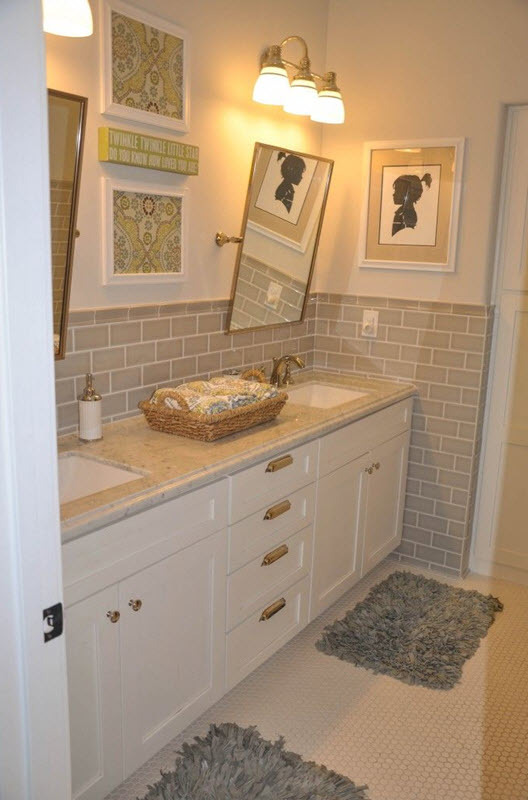 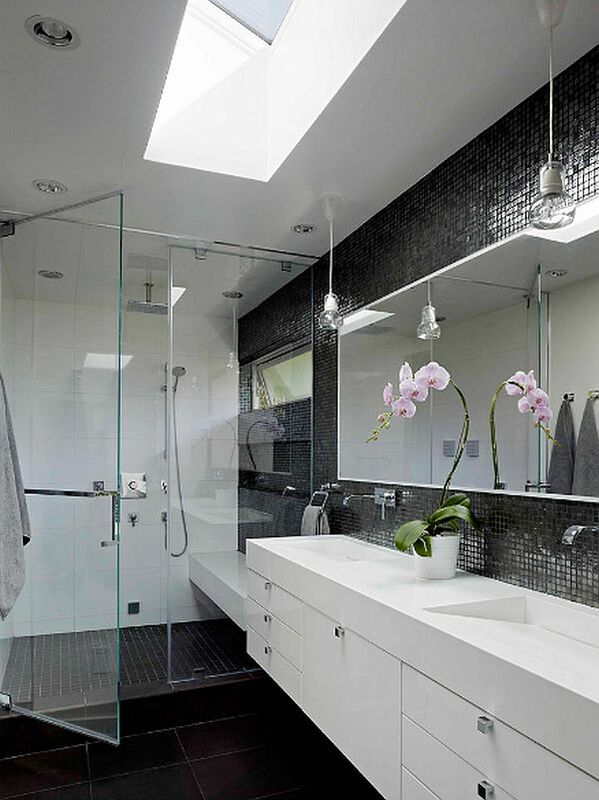 A gray mosaic tile when many different shades of gray is used is also a good choice for bathroom walls. 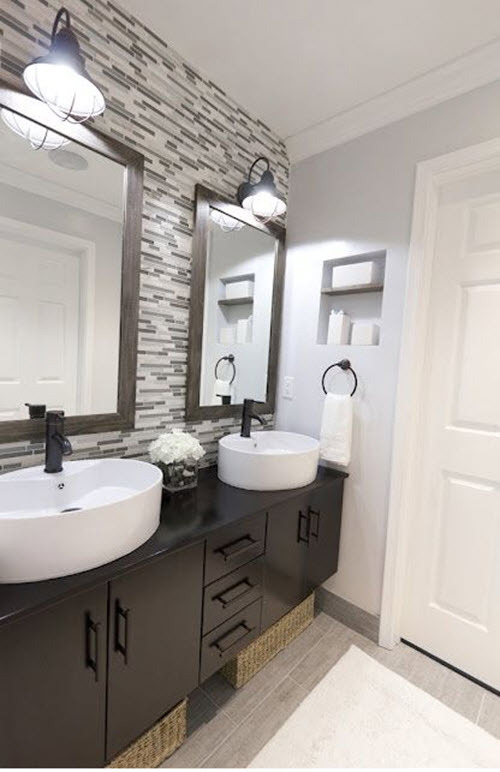 Either way, gray walls add special atmosphere and elegance to your bathroom, especially when you finish it with contrasting floor and different bright decor items. 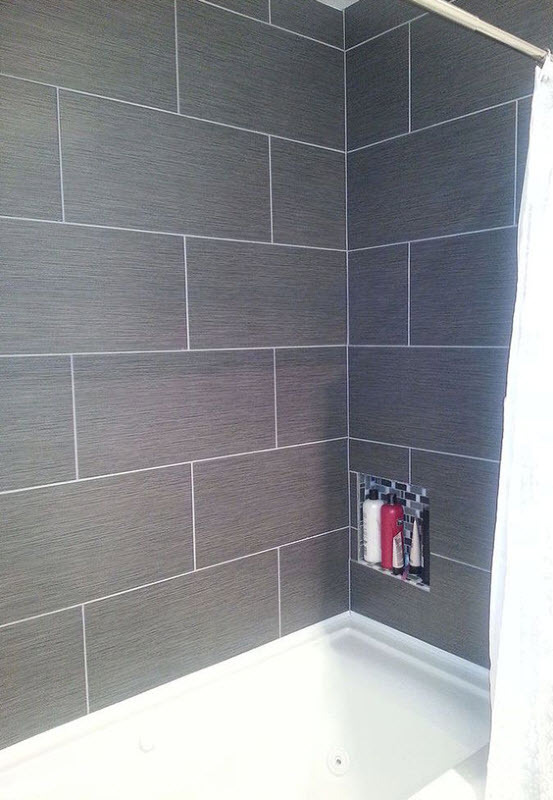 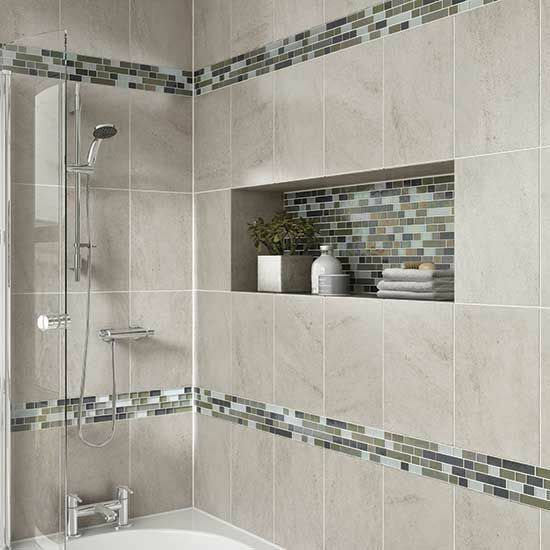 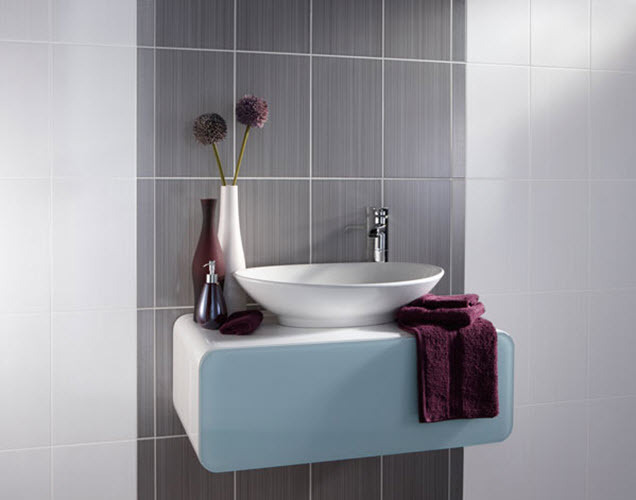 Photos in our gallery will give you a perfect insight into this solution – look through our gray bathroom wall tile ides and get enough inspiration.